Does Your Personality Come Through with the Gatekeeper? Let your personality come through and allow the gatekeeper to see you as a normal person who is merely doing their job, just like them. Few things turn people off faster than answering the phone and having to listen to someone with a robotic voice or, worse yet, a robotic voice who is clearly nervous and not confident. One of your best assets is your personality. It’s who you are and it’s one of the things that allows you to stand out and apart from others. Because your personality is so beneficial to you, it only makes sense to leverage it. Let your personality come through, because when you do, you’re more relaxed and the other person will be comfortable too. Remember, your goal is to have a conversation that is beneficial for both you and the other person. You’re looking for information to guide you to the next step, and the other person is looking for confidence to know you could bring value to the person with whom you’re trying to connect. One of the key benefits to letting your personality come through with the gatekeeper is the increased probability of you gaining even more information to assist you. Reason for this is it’s human nature that people will typically share more when they’re relaxed and they feel the person they’re talking with is relaxed too. There is one downside to letting your personality come through, and that is you can become too relaxed and not be attentive to hearing what is being said — or worse yet, you allow your comments to go down a risky path. Best way to prevent this is by never making a phone call without having the name of the company in front of you and having a pen or pencil in your hand to take notes. I’ve found doing these two things is enough to keep you focused, yet not so much that is stifles your personality. 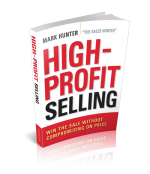 PrevPrevious10 Mistakes Salespeople Make and Why You Can’t Afford to Make Any of Them!